These high profile scope rings fit up to a 56mm objective, and most 1″ diameter scope tubes. Package includes 2 rings, allen wrench, and 2 additional screws. 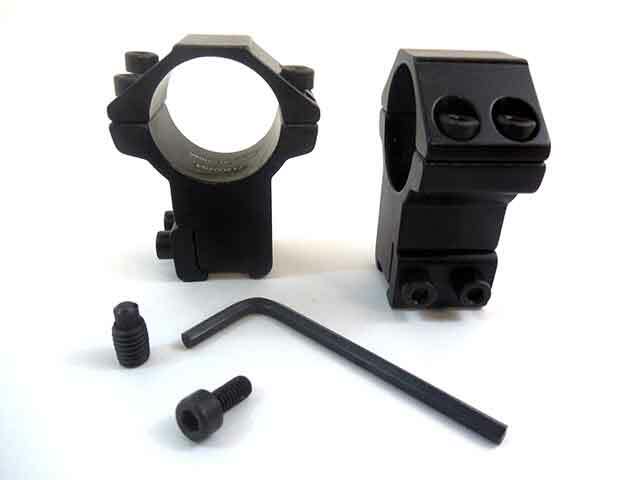 Crosman 459MT allows for mounting of 3/8 dovetail sights and scopes on Crosman 1322, 1377, 2240, 2250, 2260, and 2289 model airguns.